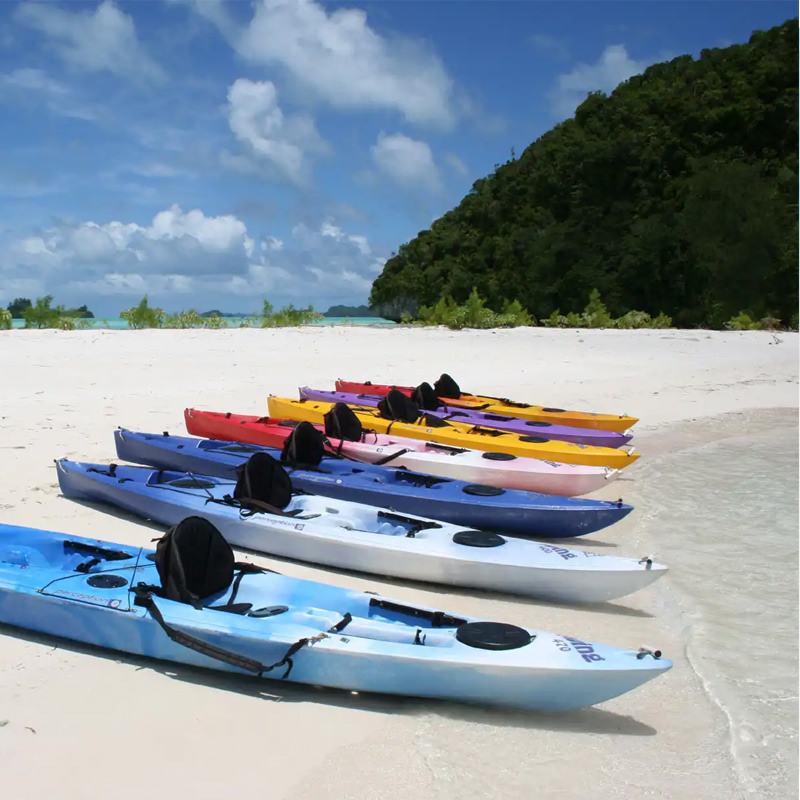 On your way out to the rock islands this weekend, keep your eyes open as you pass through the lagoon. You may catch a glimpse of a vision sailing out of the past. Thanks to an eight year old little girl, Palau has a new attraction! Like most little girls around the world, Kendra Miluu Leidich was enthralled by the Disney movie “Moana.” The animated movie tells the story of a Polynesian Princess who has to sail her traditional canoe over the horizon to help save her people. Moana meets a Demi-God named Maui (the voice of Dwayne Johnson) and they share sailing adventures around the Pacific. Miluu didn’t want to cut down an ancient tree to build her canoe. Luckily her clan from Airai came to the rescue! A giant “Ukal” had just fallen across a stone pathway during a storm and it was the perfect size for the canoe hull. It took over a month of carving by hand before the massive hull could be moved from the jungle over to Malakal. 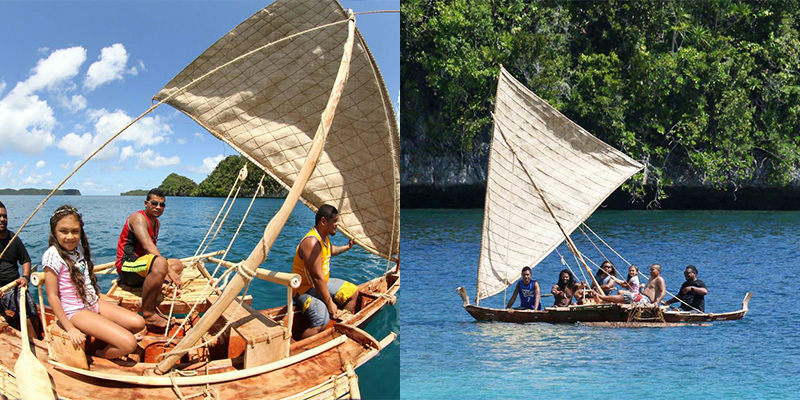 Once the hull was carved, the pieces were assembled from all local materials to form an outrigger (made from Meduu), the paddles (Chosm), the rigging (Btaches), and the stunningly beautiful sail woven from Ongor. Everything was bound together using Coconut Fiber Rope (Ker’eel). Patrick Akiwo then stepped in and built a canoe ramp and floating dock followed by a traditional canoe house (D’iangel). 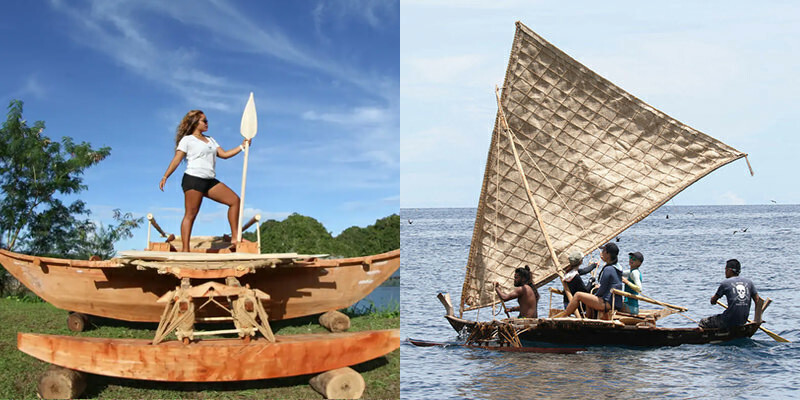 With everything in place, Miluu stepped onto her canoe for the maiden voyage and helped lift the sail to catch the winds of adventure. Now she wants to share the experience with all of her friends and family. Once she masters the art of sail, she’s dreaming of sailing out to the rock islands and camping under the stars… just like her hero Moana.